Former AC Milan, Atletico Madrid, Parma and Italian national team manager, Arrigo Sacchi, pens his much-anticipated autobiography as told to journalist, Guido Conti. 1. A Plan to Change the Status Quo. 3. His Philosophy in a Nutshell. --- Arrigo Sacchi, "Calcio totale: La mia vita raccontata a Guido Conti," (Total Football: My Life as Told to Guido Conti), Chapter 17, pages 272 to 273, published by Libri Mondadori in March 2015 with a list price of EUR 15,30. Arrigo Sacchi. The mere name conjures up an image of a bald-headed mad football scientist who revolutionized Italian football with his obsessive attention to detail, introduction of zonal marking, defensive pressing, use of the offside's trap, other new ideas, a new lexicon ("restarts, preventive positioning, preventive marking") and an overall anti-Catenaccio attitude. He also provided world football with one of the best clubs sides of all-time during his tenure at AC Milan winning eight trophies in a four-year period. Sacchi believes in the collective over the individual and intriguingly, places talent at the end of his desired list of key traits in a player. Maestro Sacchi might be summed up in one Italian word: Particolare. It is one of those wonderful Italian words that concisely sums up a person in ways that would take a sentence or more in another language. It is a word, in this case, which represents an anomaly along with compelling example. Sacchi is traditional and avant-garde; old school and new age. He never played professional football and quit on that dream very early. He then followed his family's tradition and learned managerial techniques during a decade working in their shoe business. Sacchi's older brother, Gilberto, tragically perished in a car accident which clearly had a profound effect on him. Deciding that shoes wouldn't take him to the promised land of his real passion, calcio, he left secure employment at age 33 and threw himself as a relative unknown into the risky life of a professional football manager. For his first three years as a manager, Sacchi went without a salary. He immediately challenged the rigid status quo of Italian calcio, caught the eye of a certain Silvio Berlusconi while at Parma, and revolutionized play with his brilliant Milan side. Interestingly, Sacchi's initial contract at Milan paid him less than he earned with a Serie B side, Parma. It seemed to me he was obsessed to change football despite knowing that he was not well-suited in many respects to the rigors of professional management. He would only sign one-year contracts because of a looming insecurity to walk away. To his credit, Sacchi noted his struggles with anxiety, stress, stomach problems, and many sleepless nights, a somewhat taboo topic at his level in the game. Much as Sir Bobby Robson and Louis van Gaal were to a young, and mostly unknown, José Mourinho, Berlusconi was Sacchi's mentor to a much larger world of international football. He recognized his talent and took a chance on a "Mister Nobody" to quote Sacchi himself. The results were eight trophies in a spectacular four years with a Milan side that etched itself into the pantheon of world football. Sacchi remains the last manager to win back-to-back European Cups. Sacchi then spent five years, and 53 games (34 wins, 11 draws, 8 losses), on the Azzurri bench. He called up 93 players with 55 making their international debut according to him on page 233. This experience would mark his last multi-year experience as a manager. He followed his Azzurri adventure with a brief return to Milan, half of a season at Atletico Madrid, a one-month spell back at Parma, along with a Director of Sport role at Real Madrid for a year, respectively. Sacchi then became a television and newspaper pundit which is a role he still holds along with four years (2010 to 2014) as the coordinator of youth national team programs at the Italian Federation. Let's take a longer look at this fascinating book by one of world football's leading managerial figures and thinkers about the game, Arrigo Sacchi. Sacchi gives us a deep look at his tactical, training ground and man-management philosophies going back to his early days in the youth sector at Fiorentina (which represented his first exposure to a Serie A club). He clearly had a plan to change Italian football and used youth sides as a testing ground. Sacchi taught zonal marking to the entire youth sector at Fiorentina and had a prescient quote: "You are the owner of the play." The zonal defensive system was one of Sacchi's many innovations. He did not like defensive-minded catenaccio and his theories threatened many in Italian football's establishment. In many ways, this book is less of an autobiography and more akin to a superbly detailed diary. I liked the editorial decision to make this a linear chronology of events. Some autobiographies that I have read skipped around and confuse the reader. 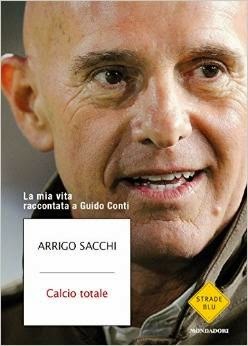 You can easily find chapters of specific interest in Sacchi's book. For example, his time at Milan, with the Azzurri, World Cup 1994, his time in Spain, or a look at his early days in Fiorentina's youth sector, respectively. I would describe Sacchi's writing style as candid, enthusiastic, defensive at times, and interjected with a photographic recall of detailed memories. Sacchi, as I have learned after translating 20 of his articles, does not use normal words or concepts and some parts of this book will be a challenging read even for a native Italian. This book chronicles Italian and world football from an insider's point of view. I also liked his various analyses of players he coached, along with rivals, that had a scouting element to them. Sacchi's comprehensive descriptions of Milan's two epic league games versus Napoli in 1987/1988 were enlightening as were many other match commentaries such as several from his Champions League nights. These parts of the book were closer to a journalist's look at a coach's life rather than the protagonist's own perspective. Sacchi might be the ultimate student, scout and pundit of the modern game. The author's level of detail covered not only tactical schemes, training methodologies and famous personalities but also the many players who crossed his path. I was impressed that Sacchi was able to name the various clubs where these referenced players, many of whom were not household names in their own era, plied their trade. Sacchi was also able to recount, almost verbatim, conversations that took place two to three decades ago, in painstaking detail. Some readers, especially those who don't readily recognize players' and clubs' names from 20 to 30 years ago, will get bogged down and likely gravitate to Sacchi's AC Milan tenure. If you are older and/or appreciate Sacchi's historical perspective, this part of the book will be rare insider's look at the past. Chapter 7, "My Football," and Chapter 17, "A Day Ahead," might be worth the price of the book itself due to their detail about his coaching philosophies and precise training ground exercises. One critique I had about Chapter 7 was the lack of schematic drawings (there were none in my evaluation copy) which would have provided a valuable visual reference to the many complex topics Sacchi addressed. Especially since he is known as a tactical master. He also seemed to care quite a bit what journalists and newspapers thought of him. He quoted several writers, along with newspaper headlines from various newspapers, which I found surprising to include in an autobiography. It pointed at a need to still justify himself to critics despite all of his managerial success. That topic was a recurring theme in this book that might come off as petty. Arrigo Sacchi has provided us with a long, detailed look at his life's work in world football. This book likely will be studied, relished, analyzed and referred to for years to come. "Calcio totale" will be your total football reference source about the golden age of Italian football along with many didactic lessons about the game from one of its true Maestros. I have received a complimentary review copy of this book from a representative of Libri Mondadori. I was not financially compensated by the co-authors, publisher or any party who would benefit from a positive review. Please note that all translated content, while done by me, is copyrighted (c) 2015 Arnoldo Mondadori Editore S.p.A., Milano. I discussed this book, Sacchi's Milan, World Cup 1994, and his controversies, with Anto Bianco of Beyond The Pitch. The segment begins at 22:00. Unfortunately, there is not an English translation of this book. 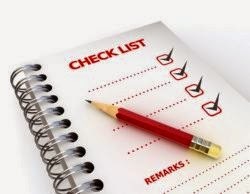 I hope that my review was beneficial to you and other readers.